A quick Google search tells me that "Scouting for Food" isn't necessarily a thing everywhere and it definitely doesn't happen this weekend everywhere. 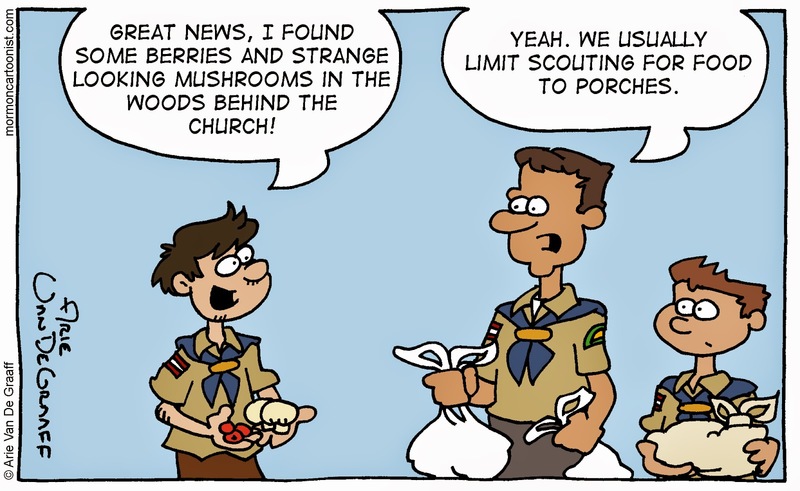 But in my neighborhood, the Boy Scouts will be picking up bags of canned food off of folks porches to donate it to the local food bank this Saturday morning. Funny, that's happening in my ward this weekend too! I don't know where this site would be if Elders didn't provide a giggle on a regular basis.